A majority of the materials I review are for my sons, so when I knew that a board book from Greene Bark Press Inc. would be in the mail, I was certain this would primarily be for my three year old daughter! 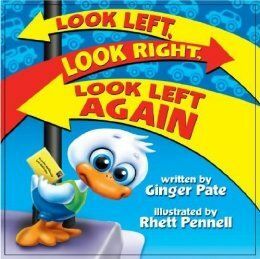 Look Left, Look Right, Look Left Again is a fun and educational board book written by Ginger Pate and creatively illustrated by Rhett Pennell. The kids and I were outside when the package arrived and to my daughter's surprise, it was something she too could enjoy! We immediately opened the package to find a quality, study, board book inside! I was impressed with the size, not too small and the pages were thick and sturdy, perfect for little hands. The pictures certainly captivated her. She absolutely loved looking at the interesting pictures of Wally Waddlewater and his adventures learning how to cross the street. When we received the book, outside, we opened it there on the front porch and read it. Not once. But twice. Not only with my three year old, but my five and six year old sons gathered round as well. The storyline was something they could relate to. Wally Waddlewater made a birthday card for his grandmother. He wanted to go into town to deliver it but wasn't quite ready since he didn't know basic traffic safety rules. Of course he thinks he knows what to do and attempts to cross the road by himself only to have his mother intervene. Sound familiar? Whether it's in the church parking lot, at the grocery store or even at home, there may be times when a young child may be oblivious to the potential dangers of the road. Sure, if they see a car or bus they aren't going to run across the road, it's just teaching them the concept of being aware of possible danger. Wally Waddlewater thinks he knows what's going on (as most young kids do,) and looks left and right before crossing the road. But, when his mother intervenes she teaches him to not only look left and right but to remember then to look left again. The book is catchy using this phrase over and over as Wally waddles through town making sure everything from cars to elephants are out of sight. What I love, is that while my three year old is engrossed with the pictures, my six year old son is able to read this story aloud. The storyline was both cute and educational. All three of my kids were able to learn a life skill, while having fun. That first day we read the book, my kids were sharing with their dad right when he came home that catchy little, "Look Left, Look Right, Look Left Again" phrase because it was already stuck in their little minds. This family owned company, Greene Bark Press Inc. has the belief that there is still a need for imaginative, quality, printed books to help students gain what they need to be successful in life. 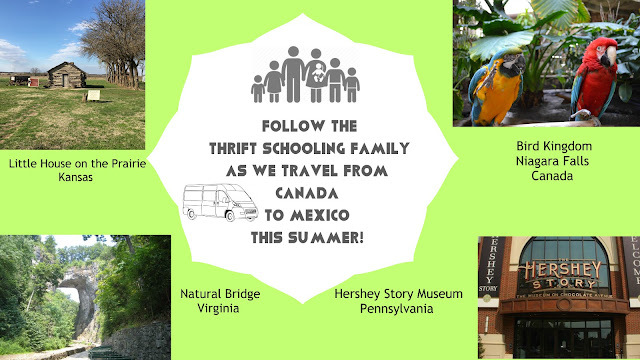 With all the internet based education available, Greene Bark Press strives to stretch the child's mind with hands-on learning materials. Aside from the variety of board books available, they also provide art activities, math games and more.